(Bloomberg) -- It’s set to be the most acrimonious world summit in years, with President Donald Trump facing off against six other leaders in need of a standard-bearer. If Justin Trudeau is looking for a chance at redemption, this is it. With the world on the brink of a trade war, the stakes are high for when the Group of Seven meet in Canada with the symbol of postwar collaboration under threat by an aggressive strain of American unilateralism that’s ripped up international agreements and undermined multilateral institutions. 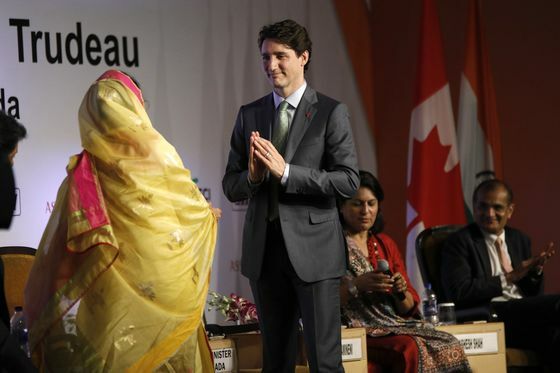 Enter Trudeau, the photogenic prime minister whose brand of “progressive” trade has fallen flat amid foreign flops that wounded his image. In private conversations, some G-7 officials express reservations about the 46-year-old. They may have little choice than to embrace him. As host, he’s in the spotlight to somehow salvage a summit pitting irate Europeans against Trump with Japan’s Shinzo Abe falling in the middle. France and Germany are warning they won’t bow to Trump just to show unity, while many wonder if the U.S. president will leave early. Can Any G-7 Leader Corral Trump and Prevent a Global Trade War? In the past, Trudeau tried being a Trump whisperer. But his year of diligent appeasement ultimately failed. Tariffs hit Canada, along with everyone else. 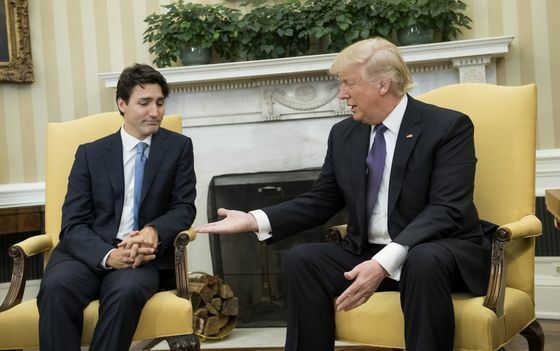 Trudeau has finally quit playing nice with Trump. Trudeau “needs to clearly adopt a different style because he has found out, just like Macron did and just like Abe did, that all this personal chemistry, cozying-up bromance stuff didn’t get them anywhere,” Kirkegaard says. The star power has faded for Trudeau, the son of a former prime minister. At home, his polling lead has evaporated on the heels of a disastrous trip to India, and he now trails the main opposition party in some polls ahead of an election next fall. Abroad, a French official was at pains to play down the much-talked about bromance between Emmanuel Macron and Trudeau on display at the G-7 in Italy a year ago. If the two men were being endlessly compared to one another last year, comparisons now are not welcome, the official said on condition of anonymity. Macron is focusing on developing his own brand, and a direct channel to Trump. When asked for a response to Trump’s remarks, a senior Canadian official said at a press briefing in Quebec on Thursday said that the countries can manage their differences through discussions. Trudeau’s occasional boy-scout goofiness also seems out of place in the trade fight. When Prime Minister Theresa May, another close ally, paid him a brief visit in Ottawa last September, U.K. officials were taken aback by what Trudeau’s office suggested the two should do: kayaking, a proposal so decidedly un-British it was immediately dismissed. There was also a lot of back and forth over a basketball game. 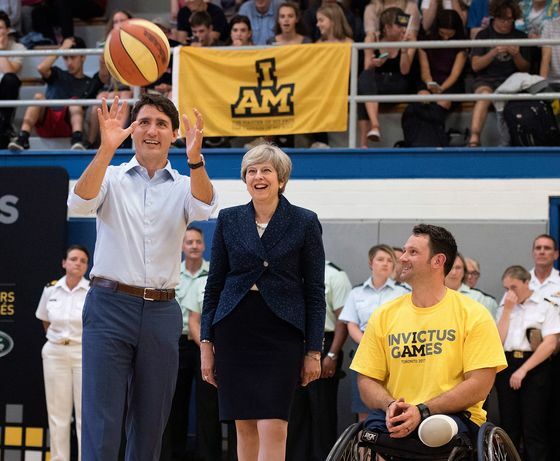 May’s people sought repeated assurances Trudeau wouldn’t embarrass the older May by shooting hoops. As it happened, he jumped at the chance to grab a ball. The G-7 leaders will be immersed in nature Friday and Saturday -- 90 miles away from the media center -- surrounded by La Malbaie’s pristine waterfront and rolling hills. It remains to be seen whether the isolated surroundings will ease or fan tensions further. White House economic adviser Larry Kudlow has made it clear Trump isn’t planning to woo the bloc’s leaders. “International multilateral organizations are not going to determine American policy, I think the president’s made that very clear,” Kudlow said in a press briefing Wednesday. Either way, there is the risk that it ends without the typical negotiated leaders’ consensus communique. Previous summits have issued a chair’s summary instead, which would fall to Trudeau. If the Canadian can find any measure of consensus, that will be considered a success given the low expectations. Trump plans to depart early from the summit, on Saturday morning, leaving a deputy assistant in charge for the day’s remaining sessions. “The G-7 is fundamentally a gathering of the world’s most advanced economies to talk about economic challenges that we have in common,” Trudeau said last week in a Bloomberg Businessweek Debrief interview in Toronto. The key to diplomacy is finding common ground, he said. That incidentally, is also the title of his 2014 autobiography.